Repair and regenerate aging skin with Q10 booster. A multifaceted concentrated serum full of targeted ingredients such as Coenzyme Q10, Vitamin E and Vitamin C to enrich skin, inhibit pigment production, even out skin tone and fight oxidative stress caused by pollution and UV damage. 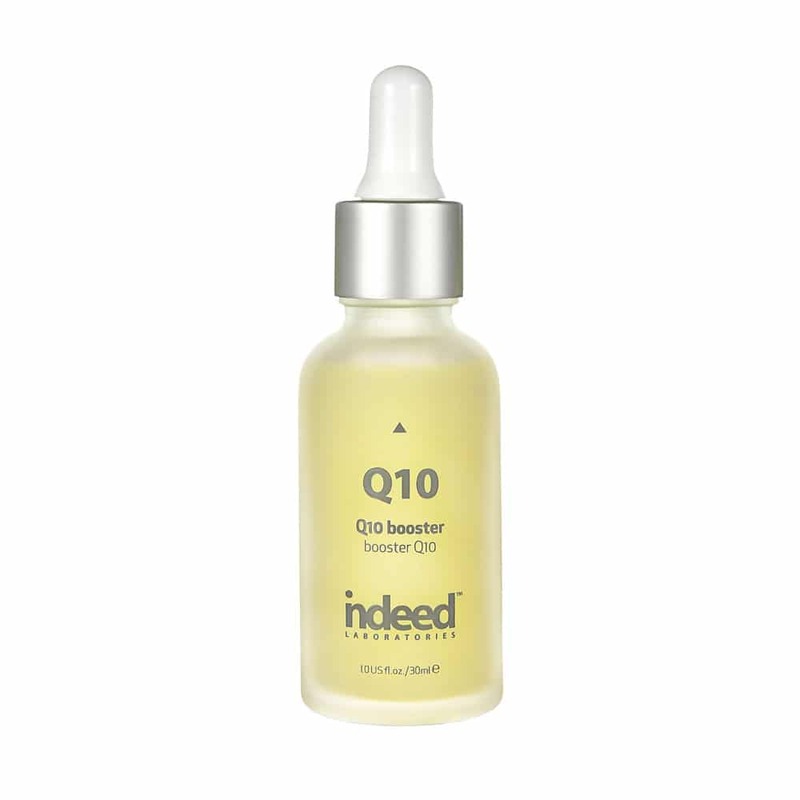 Q10 booster also works towards a more youthful tone and texture by creating the building blocks for collagen and elastin, which minimize the appearance of fine lines and wrinkles. Paraben, colourant and fragrance free. Apply 1-2 drops to cleansed skin morning and night. Use alone or mix it with your serum, moisturizer or liquid foundation for an anti-aging boost. ALL-Q®: A unique combination of Coenzyme Q10 and Vitamin E to help prevent skin damage from UV radiation, reduce the visible appearance of wrinkles and protect surface lipids from oxidation. Coenzyme Q10 produces around 95% of your body’s energy. BV-OSC: A very stable, oil-soluble Vitamin C ester with anti-oxidant activity. Helps to minimize the damaging effects of UV exposure. 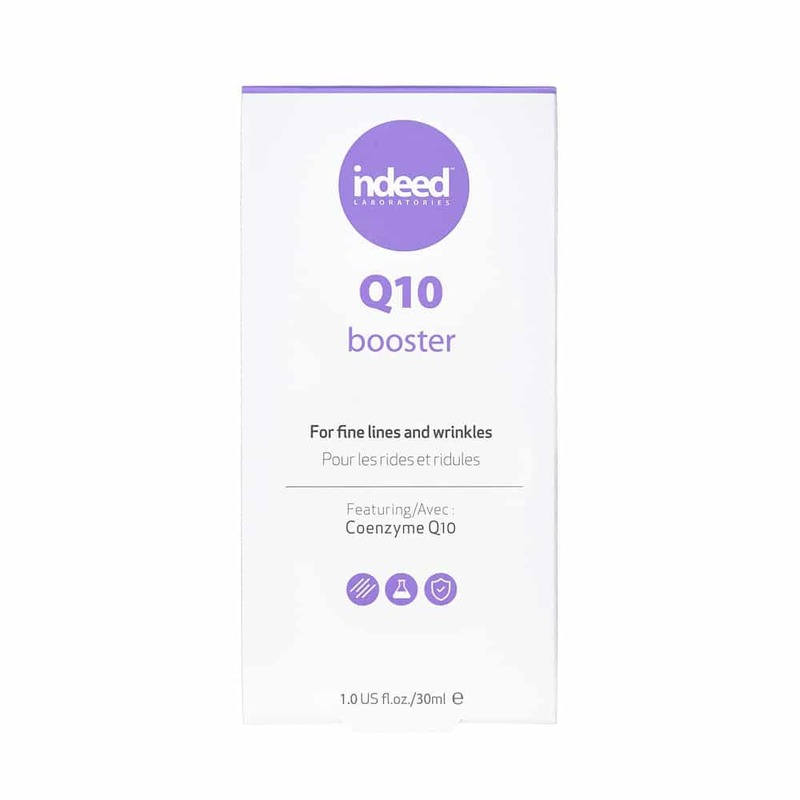 The q10 booster is the perfect antioxidant to start your morning routine with! I feel like it brightens my face and gives a glow to my skin for the entire day! My go to! Been using this for over a month now, and see a huge difference in my skin. Also really like the minimalist bottle design. I’m still in my 20’s so I don’t have too many wrinkles, but I’ve been using this on my forehead, and around my mouth to help minimize expressive lines and wrinkles. I usually apply it either at night, or in the morning with my foundation. It absorbs really easily, and isn’t greasy at all. 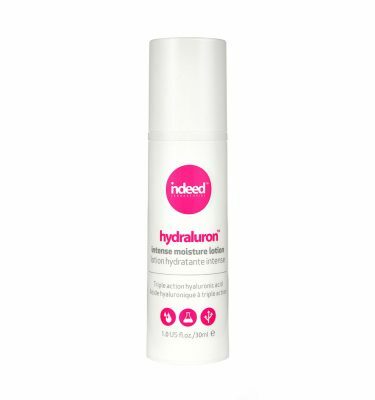 I use this cream at night before bed and it makes my skin feel soft. 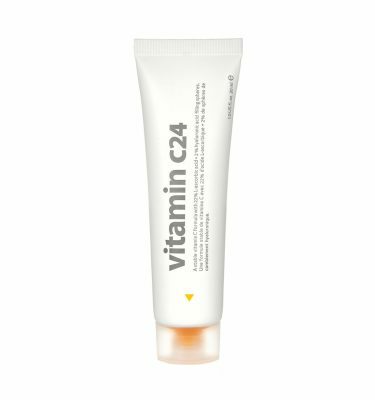 It is very light and it doesnt have a terrible smell which some facial creams can have. I love this product. It has made a difference in the appearance of my skin. I would definitely recommend it. Leaves skin very soft and looking good.